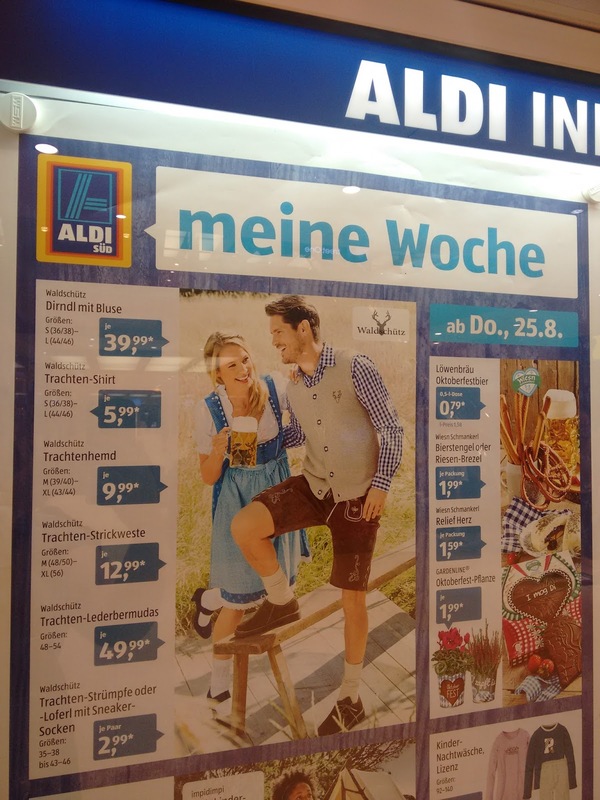 Anyway, after that strange interlude of trying to appropriate Flight of the Conchords lyrics and failing, let me just say that the Tracht is out in full force right now at the stores. Tracht is traditional German clothing and the most commonly known versions are men's Lederhosen and women's Dirndl. In the Pfalz, people don't usually wear Tracht, even at local festivals, unless they're Americans, but there is plenty to buy in the area. I previously wrote a guide to buying Tracht in the Kaiserslautern area; you can read it here. 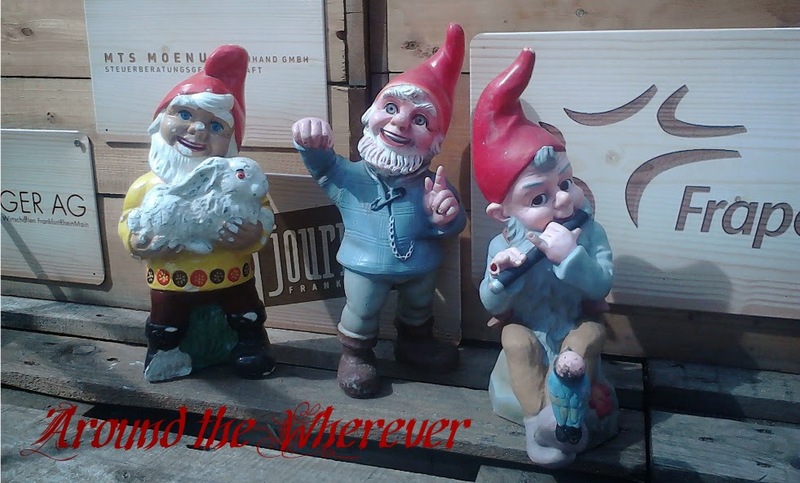 Tracht has been popping up in many other places, too. I've seen it at Aldi; in one aisle, you can buy fizzy water and the next aisle you can buy Tracht or school folders. Such is the strange wonders of the discounter. Even Tchibo has gotten into the act. However, this will be a short act with not too many encores, so if you're seeking less expensive Tracht and you see something you like at the store, pick it up. After all, the next day there might be track pants instead of Tracht Hosen in the same spot. 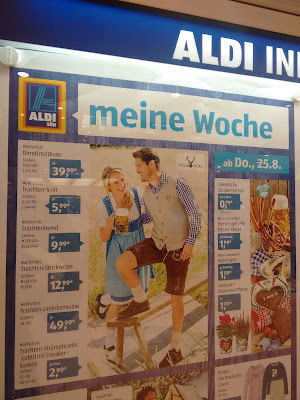 Even Aldi gets Tracht up.